Public religious subsidy of the week–6. £140,000 pa for a Church of Scotland chaplain at St Andrew’s University. Manfreddi La Manna points out the Stirling University has found a much more economical and effective way of providing chaplaincies for university students from public funds with the university only providing accommodation for such activities and the denominations paying for the services of their priests. The University of St Andrews pays the full time salary of a Church of Scotland minister and for two support staff while other denominations (Catholic, Episcopalian/Anglican, Church of Scotland, Kingdom Vineyard Church, Orthodox, Muslim, and Jewish – two rabbis) provide their religious services to students out of their own resources. An independent Scotland: A secular or a religious state? A recent statement by the Church of Scotland and a number of other religious denominations demanding that religion is specially recognised in an independent Scottish state raises fundamental issues that have not yet been answered by the Scottish Government. The Scottish Government now gives an annual grant of £60,000 to Interfaith Glasgow. The work of Interfaith Glasgow is documented at http://www.interfaithglasgow.org and at least this interfaith organisation admits upfront that it is funded by the Scottish Government. The growth of city based funding, in addition to the funding of the nation wide interfaith organisation, Interfaith Scotland, which is already based in Glasgow, looks highly questionable. Most of the denominations involved will be charities and will benefit from tax relief on income and gains, rates relief and gift aid. Why then should additional public funds be channelled to them? There ought to be no need for this funding. Local authorities are well placed to facilitate cooperation and dialogue between religious denominations if it is felt that there are problematic aspects of relationships between them and the denominations themselves ought to be open to dialogue between themselves out of religious goodwill and their own resources. 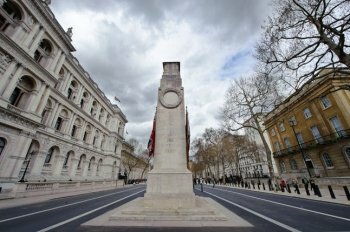 A new academic paper examining the origins of the Cenotaph and the ceremonies surrounding it has questioned the role of the Church of England at the annual ceremony of remembrance at the Cenotaph, and calls for the event to be made more inclusive. 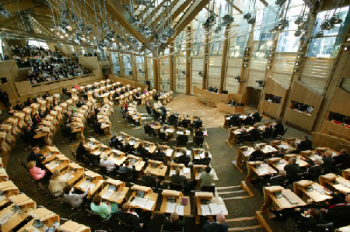 Edinburgh Secular Society (ESS) has lodged a petition with the Scottish Parliament in relation to religious representatives on local authority education committees. The petition calls on the Parliament to urge the Scottish Government to bring forward legislative proposals to repeal Section 124 of the Local Government Act. This would end the legal obligation on local authorities to appoint three unelected religious representatives to sit on their education committees. The National Secular Society, Humanist Society Scotland and University of Edinburgh Humanist Society support the petition. Every one of Scotland’s 32 local authority education committees in Scotland is legally obliged to appoint three religious representatives. In most areas two religious representatives are nominated from each of the Catholic Church and Church of Scotland, with one other being appointed by the local authority. 2011 census results show that almost half of all Scots profess no religious beliefs. This figure is higher among young people. There is no mandate for this privileged influence over our education system. Religious representatives are accountable only to their respective religious organisations and cannot be voted out by the public, yet they have full voting rights on the committees. The Church of Scotland has recognised this, reporting that ‘. . . Church representatives hold the balance of power on 19 local authority committees’. That religious representatives have a direct influence on the education of our children is an unwelcome throwback to when churches used to run our schools prior to 1872. ESS recognises the historical role that religious organisations played in the early education system; however changing demographics of our increasingly secular society make the current position untenable. It is profoundly undemocratic and needs to change. Education committees may choose to draw on the wisdom of many advisory bodies experienced in the education of children, but why are religious leaders directly involved in governing the local education system? They should be free to give their counsel like any other individual or group but should not have a direct role in governing the education system. Even if they wanted to, groups like humanists, secularists and atheists are prevented from taking up a seat as a religious representative as they do not have a “place of worship” which the legislation requires. 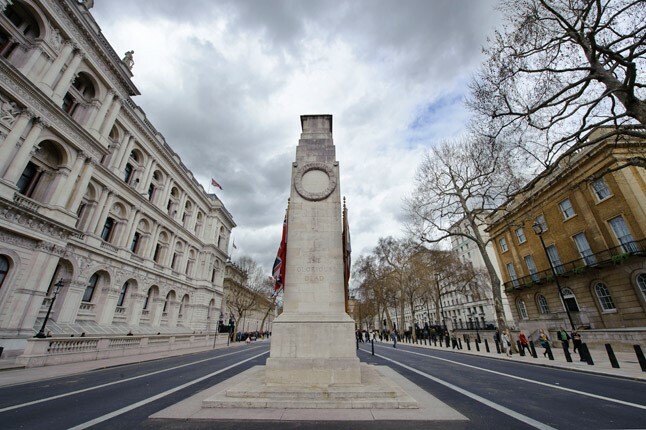 Our Local Authority Education Committees sometimes have to deal with other public concerns about religion in education, such as Veronica Wikman’s petition to remove religious observance from non-denominational schools in Edinburgh. Such concerns should not be handled by individuals with a vested interest in the status quo. In addition, Church of Scotland guidance to its religious representatives on education committees advises them to encourage school Chaplains to introduce faith-based resources to schools for use in the delivery of Curriculum for Excellence. "From the evidence we have of churches leveraging their chaplaincy roles in schools and the religious observance guidelines for the purposes of evangelism, so they also leverage these undemocratic positions for their own self-serving interests. Why else would the Kirk, for example, highlight these roles in its Education Committee work plan and provide training courses, handbooks etc. so as to provide "better trained local authority reps able to be more effective on LA Education Committees". Effective for whose ultimate benefit, exactly?" "Humanist Society Scotland’s vision is of a secular education system where all pupils within a community are schooled together, not divided on the religious beliefs of their parents. Ensuring that education policy lies with locally elected representatives and not in the hands of religious organisations would be a positive step towards this vision of a system that put the child first." ESS calls upon The Scottish Parliament to begin legislation to remove this out-dated and unrepresentative practice. ESS is a leading secular campaign group in Scotland. We are based in Edinburgh and cover a range of national issues relating to Secularism. ESS believes in freedom of religion and freedom from religion. Edinburgh Secular Society Vice-chair Colin Emerson has submitted a petition to The Scottish Parliament to ask it to instruct The Scottish Government to bring forward legislation to remove the legislation which places a requirement on the all 32 local authorities in Scotland to appoint three ‘religious representatives’ to their education committees. On Friday 27th September 2013, Gary McLelland, Colin Emerson and Norman Bonney (Chair, Vice-chair and Honorary President of Edinburgh Secular Society) met with representatives of the Church of Scotland at their offices in George St, Edinburgh. Present from the Kirk were Ewan Aitken (Secretary of Church & Society Council), Sally Fulton-Foster (Convener of Church & Society Council) and Sandy Fraser (Convener of Education Committee).